Jodhpur is also known as Blue City and it is the only place where you can see the real royalty, traditions and culture of Rajasthan. We can see lovely Mehrangarh Fort, Jaswant Thada and Ummaid Bhawan Palace and also take a walk in the city. Don't forget to try the local cuisine too! This tour leaves from Jodhpur and takes you to the beautiful Jain Temple in Ranakpur. The temple took 65 years of careful construction because of the complexity of the structure. The basement of this colossal temple is spread over 48,000 sq-ft. There are four entrances to the main chamber where the idol of Adinath is placed. In addition, there are also five pillars in the temple and each holds idols of various Tirthankaras. The biggest pillar, standing in the center of all others, holds an idol of Adinath. After visiting the temple, you will be taken to Udaipur, where this tour concludes. Explore the beautiful city of Jodhpur by visiting some of the most stunning monuments on this full-day tour. 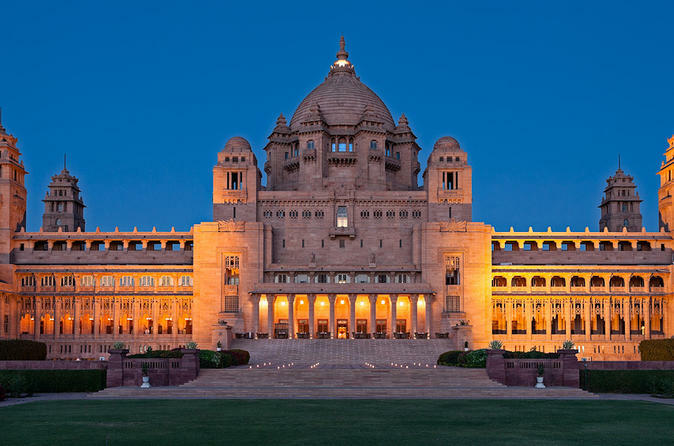 It will take you to see historic Mehrangarh Fort and Jaswant Thada, a breathtaking garden, and Umaid Bhawan Palace, a palace that’s been transformed into a heritage hotel. 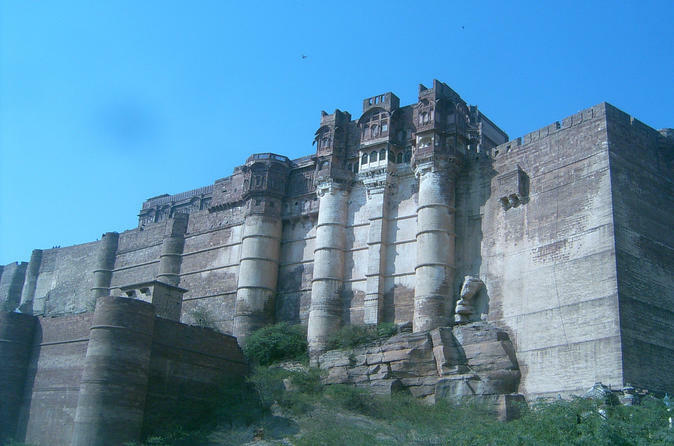 Also learn more about the history of Jodhpur by discovering the palaces and museum inside Mehrangarh Fort. 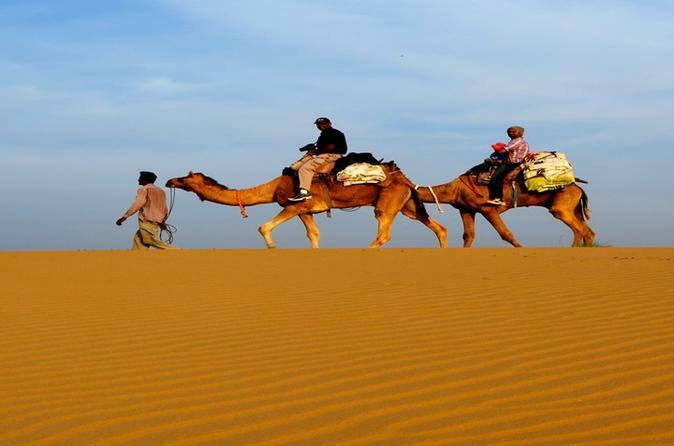 Experience an amazing camel safari in the Thar Desert while watching the sun set to complete your trip to Jodphur. You will also visit the famous Jain Temple and Sachiya Mata Temple and learn more about Indian culture on this tour. 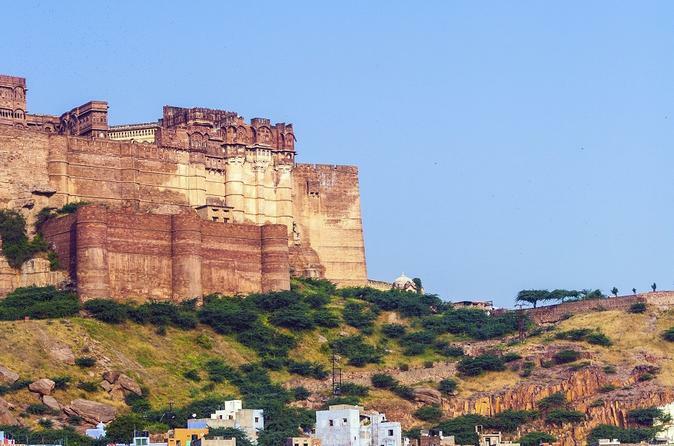 Experience Jodhpur on this private, full-day city tour. Your tour will cover sites such as the Mehrangarh Fort, Jaswant Thada, Clock Tower and Sardar Market, and the Umaid Bhawan Palace Museum. Join us on this one-of-a-kind journey and discover the delights of Thar Desert, Golden Fort, Junagarh Fort, Salim Singh-ki Haveli, Mandore Gardens, Jain temples and much more. Experience an overnight stay in an air-conditioned tent in the desert of Sam Sand Dunes and also have a special dinner with a former royal family. Start your journey in Jodhpur and finish it in the lovely lake city of Udaipur. 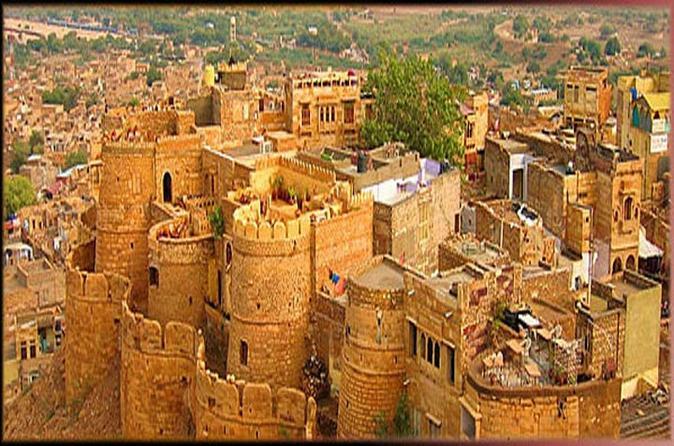 Enjoy your 2-night Jaislamer tour from Jodhpur including air-conditioned transport,3 star accommodation,guide and camel ride. 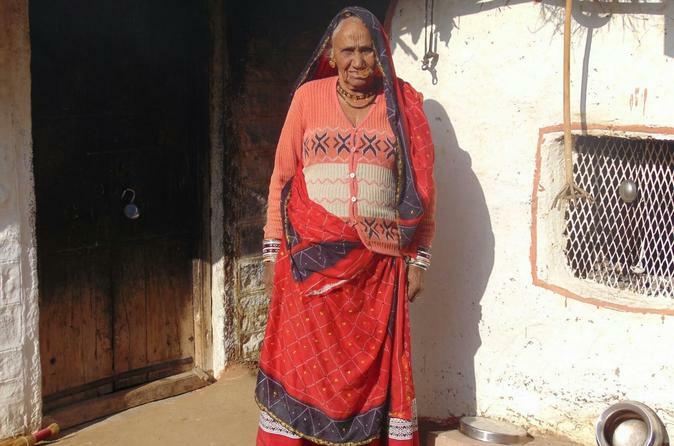 This Jodhpur Village Safari covers the countryside around Jodhpur which is home to many Bishnoi rural tribal group villages and family compounds. Take a private half day tour to these gentle communities of potters, weavers, leather embroiderers and camel herders who have achieved world acclaim for their religious conservationist beliefs. 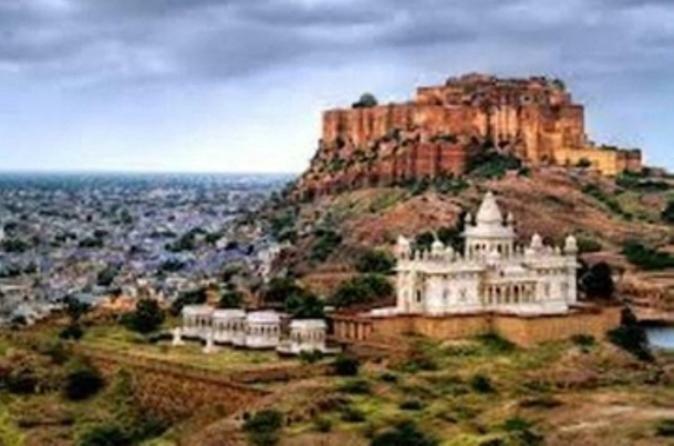 Embark on this private day tour of Jodhpur city including Mehrangarh Fort and the Bishnoi Villages. 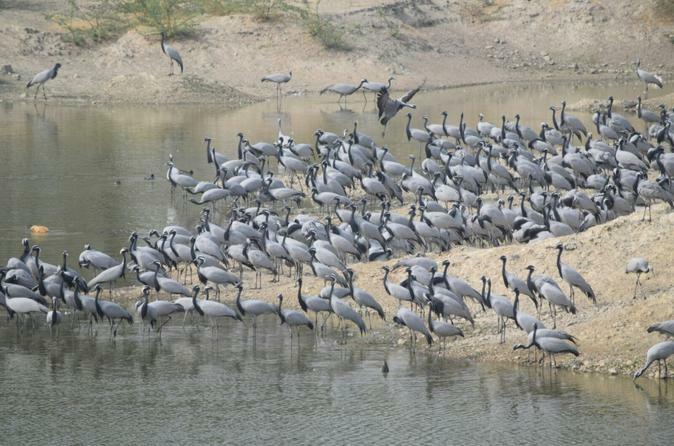 Spend 8-hours exploring the land and visiting areas such as Gudha Village and Weavers Village. Observe the Bishnoi Tribes as they take on daily tasks including rug weaving and pottery making.